CIRQUEON is an umbrella organization dedicated to the support and development of contemporary circus in the Czech Republic. The main purpose of CIRQUEON is to provide information about the Czech and European contemporary circus events, to support projects of the new circus wave emerging in the Czech Republic and to facilitate educational and training programs for children, youths and adults. Cirqueon is a member of the international Circostrada Network, International Youth and Social Circus Network CARAVAN, FACE – Fresh Arts Coalition Europe and FEDEC – an international federation of professional circus schools. 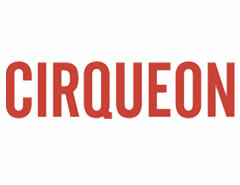 In March 2012 Cirqueon and other partners established Czech Social and Youth Circus network – Cirkonet. In February 2010, Cirqueon, the Center for Contemporary Circus was founded in a rented industrial space. The center houses a training space, an office and an information center. There is a library available which collects Czech and foreign publications, articles and DVD’s related to the contemporary circus. The library is registered in the SIBMAS international network of performing arts collections. The center’s web site www.cirqueon.cz is the only news portal for information related to contemporary circus in the Czech Republic and abroad. In 2014 Cirqueon opened 2 more training spaces. So now there are 3 halls, two of them are dedicated to the training and workshops, one is used only as a residency and creation space for Czech and international artists. Cirqueon also created the unique program concept of international festival Cirkopolis in Prague (www.cirkopolis.cz). In 2017 there were over 500 children and adult regular students, over 2000 students coming for intensive workshops and hundreds of clients reached by our social circus project and outreach work. There is also almost a hundred registered circus professionals coming to train at Cirqueon regularly. For more information see the website of Cirqueon.